Walls' BBQ, a family-owned restaurant, has been serving locals and visitors in the Savannah historic district since 1963. Originally built as a shed to sell wood from the family farm, the Walls' family decided to transform the property into a BBQ restaurant. Many decades later, it is in desperate need of repairs and upgrades to keep up with modern health and safety codes. The funds raised will go towards much needed kitchen repairs, a new deep freezer, commercial grade doors and fire extinguishers, inspections, food, and more. It's because of these needed repairs and safety issues that Walls' BBQ was closed in late 2018. Restaurant owner, Teresa Weston, would love nothing more than to re-open and serve the community with her family's home cooked recipes once again. Savannah is known for it's delicious and sometimes hidden food scene, and for those who have dined at Walls' BBQ, it's no exception. That's how the restaurant caught the eye of Savannah Taste Experience founders, Stu and Donald Card. While writing their book, Savannah Food 'A Delicious History', they came across Walls' BBQ and knew they found a true Savannah hidden gem. Known for its unpretentious Georgia barbecue and soul food, this restaurant has made a huge impact within the local community over the past several decades. 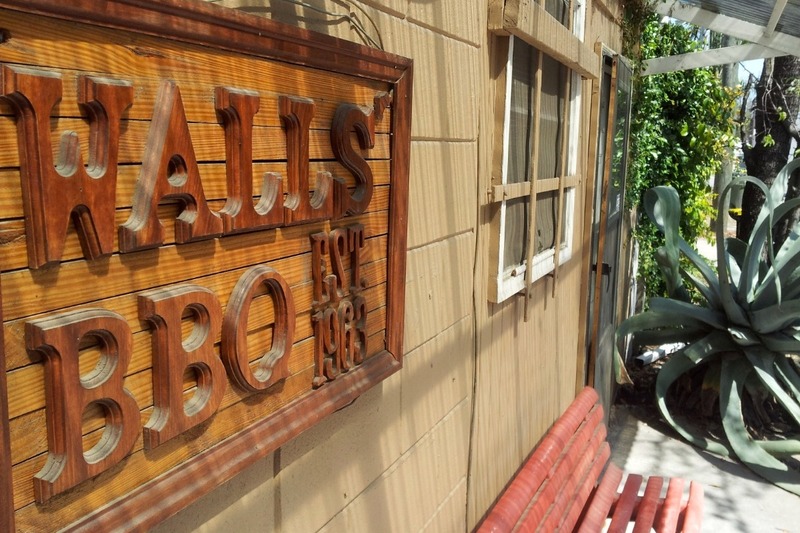 The fact that Walls' BBQ is still around more than fifty years after it first opened is a huge testament to Teresa Weston and the family recipes that she continues to make today. Even with no marketing, or outside signage, it has been featured on the Food Network and named 'Best BBQ Restaurant in Savannah' by the AJC. Our hope is to reopen Walls' BBQ by Teresa's birthday on March 4, 2019. Please join us in recognizing this Savannah staple and supporting a local small business! Thank you! *UPDATE* Thank you for the overwhelming support for our crowdfunding campaign!! With the money we've raised, together with a generous contribution from Savannah Taste Experience, Walls BBQ will re-open April 2019. Stay tuned for more details!